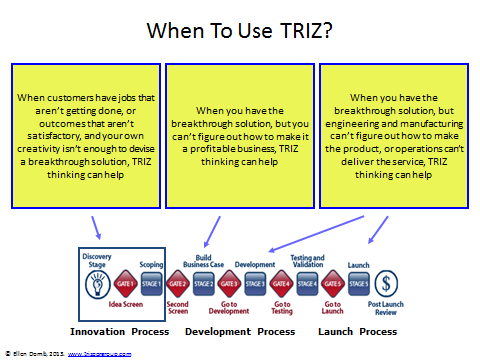 What is the TRIZ Theory and how can it improve your company’s new product development process? While the modern innovation industry’s Stage-Gate Process is widely used for new product development and is supremely more effective than undisciplined development, sometimes the Stage-Gate Process is not enough, especially in cases where the new product is exceptionally innovative and mandates solving very challenging inventive problems and issues. In such instances, one may be able to improve the innovation process and ultimately achieve better results by introducing the TRIZ method into the NPD/Stage-Gate Process. TRIZ is a (Russian) acronym for the “Theory of Inventive Problem Solving”, which was developed by G.S. Altshuller and his colleagues between 1946 and 1985 in the former U.S.S.R. According to the TRIZ Journal webpage, “TRIZ is a problem solving method based on logic and data, not intuition, which accelerates the project team’s ability to solve these problems creatively. TRIZ also provides repeatability, predictability, and reliability due to its structure and algorithmic approach.” As opposed to psychologically-based common creativity tools, “TRIZ is an international science of creativity that relies on the study of the patterns of problems and solutions, not on the spontaneous and intuitive creativity of individuals or groups. More than three million patents have been analyzed to discover the patterns that predict breakthrough solutions to problems.” It also should be noted that TRIZ solves all kinds of problems, not just those involving patentable entities. Problems and solutions are repeated across industries and sciences. The classification of the contradictions in each problem predicts the creative solutions to that problem. Patterns of technical evolution are repeated across industries and sciences. 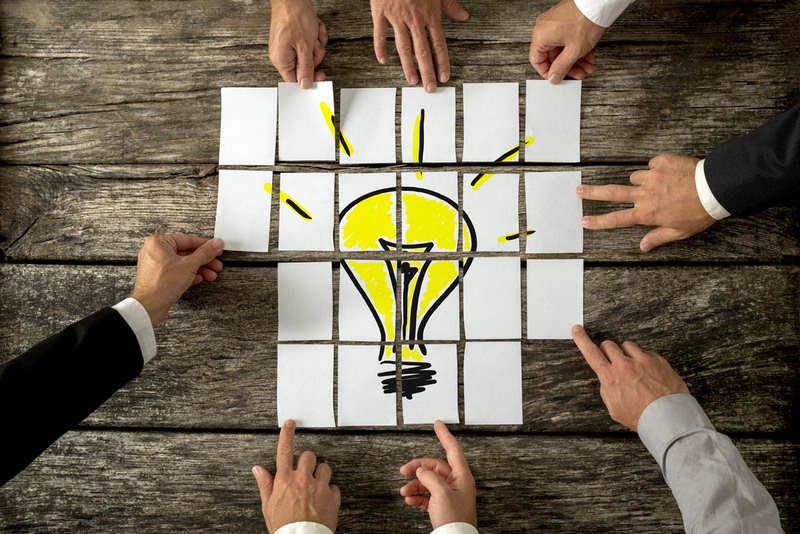 Creative innovations use scientific effects outside the field where they were developed. And accordingly, the practice of TRIZ involves learning these repeating patterns of problems and solutions, repeating patterns of technical evolution and methods of using scientific effects, and then applying these general TRIZ patterns to your specific problem. 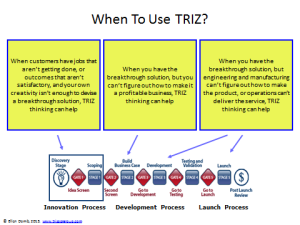 While modern industry has developed its own best practices for the new product development process, such as the popular Stage-Gate Process, it would be naïve and counter-productive to not try to introduce a new arsenal of tools such as the TRIZ approach to tackle difficult inventive problems. If properly used, the TRIZ approach and best practices such as the Stage-Gate Process can greatly benefit each other. These approaches are not rivals, but rather can be used to amplify each other’s successes. To learn more about innovation in business, check out the innovation books Robert’s Rules of Innovation: A 10-Step Program for Corporate Survival and Robert’s Rules of Innovation II: The Art of Implementation. Stage-Gate® is a registered trademark of the Product Development Institute Inc.
 For more information about Stage-Gate®, see www.stage-gate.com. Dr. Ellen Domb is the founder and principal TRIZ consultant of the PQR Group. She is also the founding editor of the TRIZ Journal. TRIZ is Dr. Domb’s 6th career: she has been a physics professor, an aerospace engineer, an engineering manager, a product line general manager, and a strategic planning/quality improvement consultant. In 2005, she was named by Quality Digest Magazine as a leading voice for the future, citing the integration of TRIZ for innovation in quality improvement and quality planning systems.